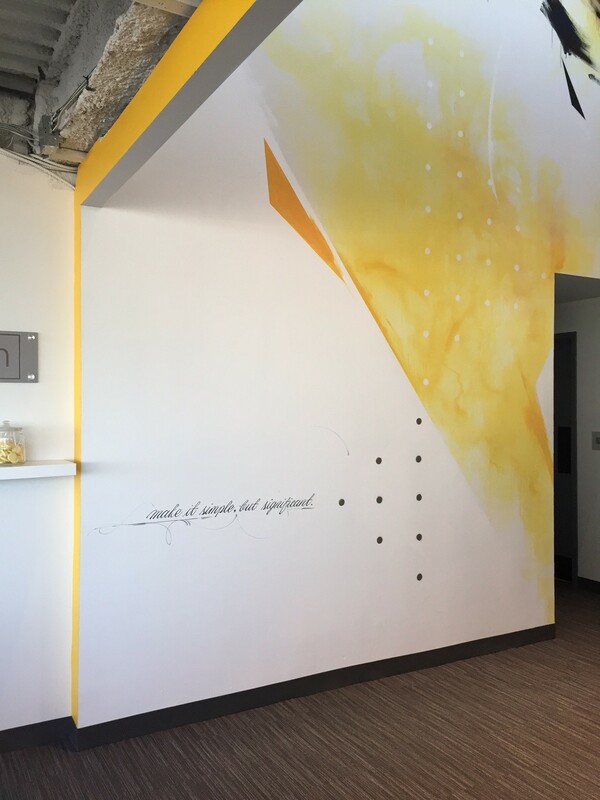 Recently wrapped up a fun project for LLM Design who had me paint a mural in their new office space in downtown Boston. 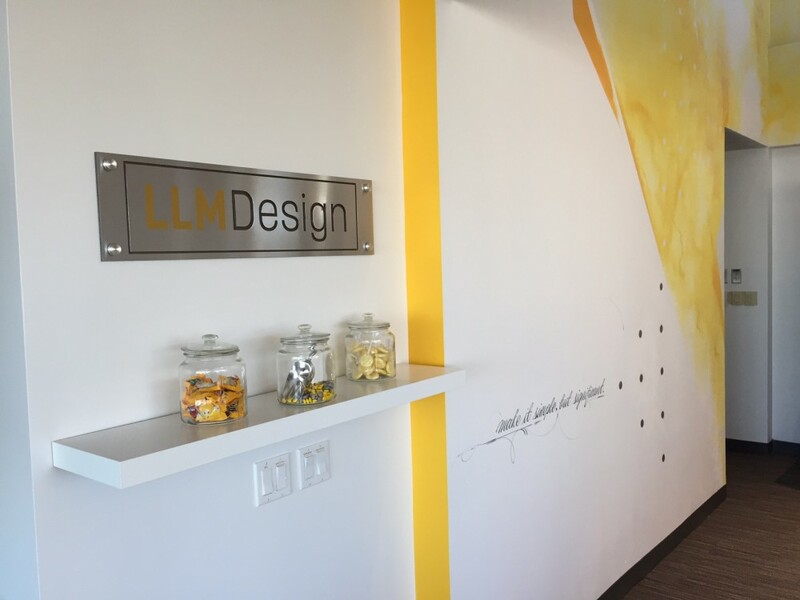 I have previously worked with LLM on a number of projects with Studio Fresh but it was fun to do some artwork in their own office this time. 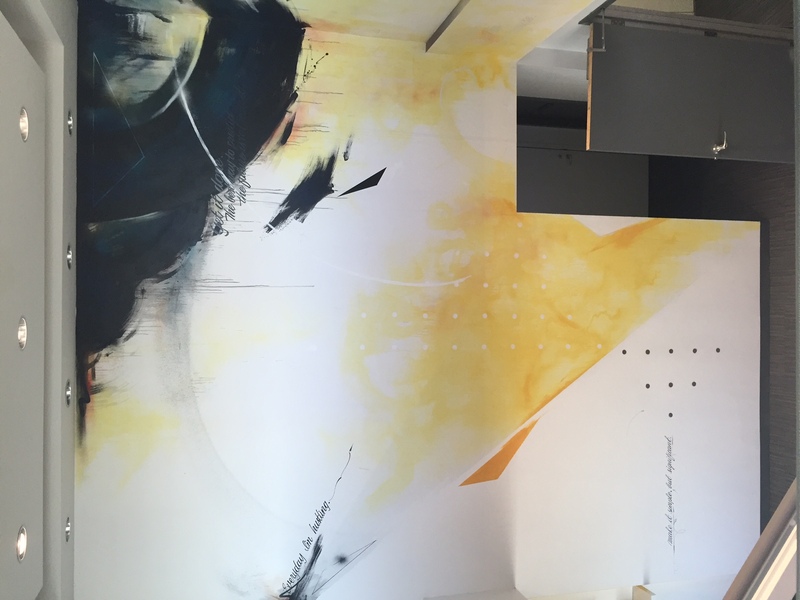 I also called in longtime friend/collaborator Kenji Nakayama to help with some lettering/pinstripe detailing on this one. 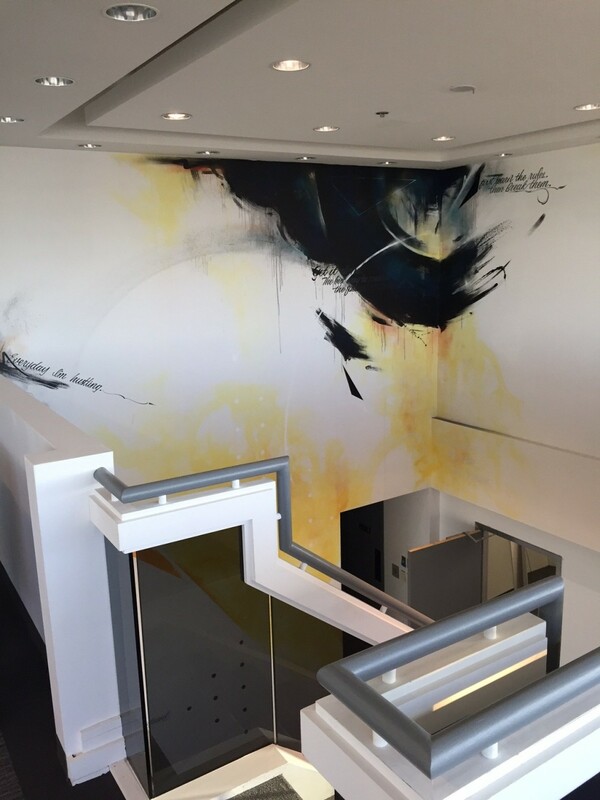 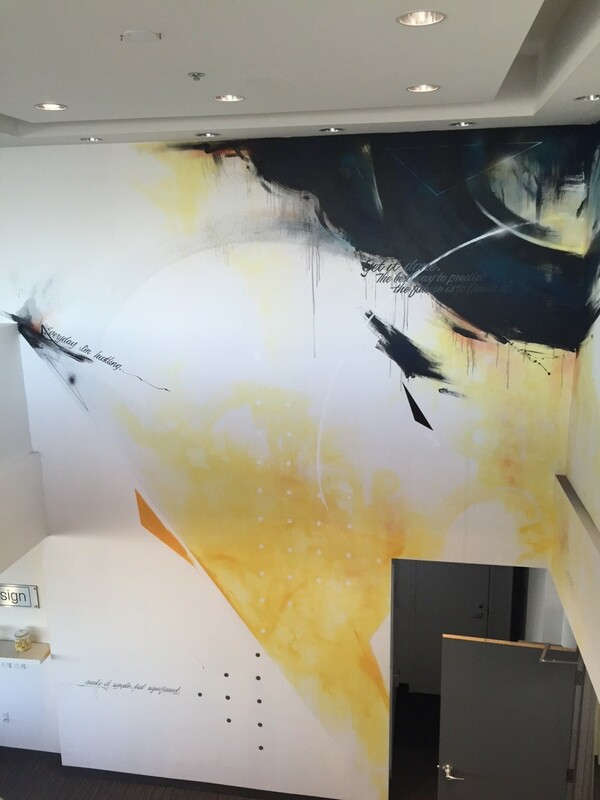 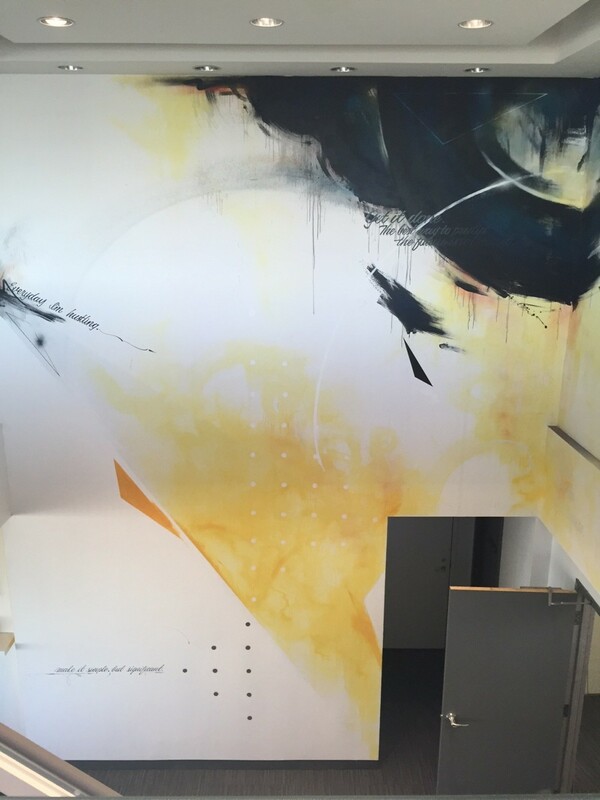 March 15, 2016 | Filed under commissions, murals and tagged with abstract, art, artist, artwork, boston, collaboration, commission, corporate art commission, corporate mural art, custom artwork, custom mural, dana woulfe, graffiti, kenji nakayama, llm design, massachusetts, murals, office mural, painting.